Police are searching for former Macomb County Clerk Karen Spranger, who may be homeless. 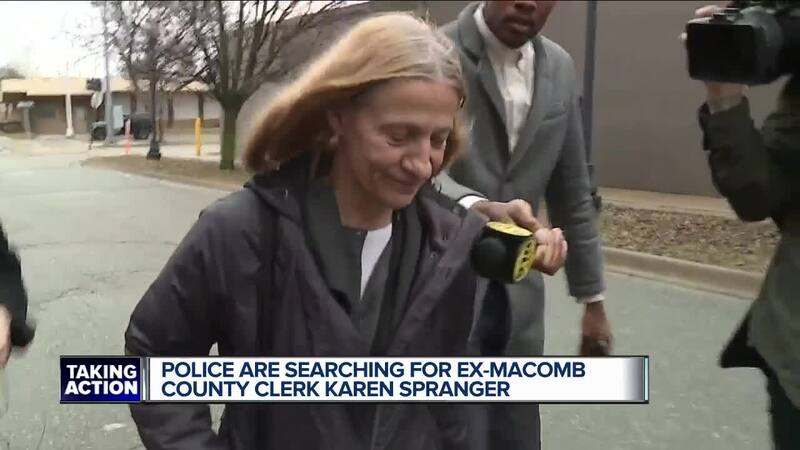 WARREN, Mich. (WXYZ) — Warren police would like to talk with former Macomb County Clerk Karen Spranger, but they can't seem to find her. According to Warren Police Commissioner William Dwyer, investigators from the department are still trying to locate Spranger and they have no idea where she is. Dwyer told us that she may be homeless. This all comes after a 78-year-old woman alleged that Spranger stole money from her and assaulted her. Spranger lost her job as clerk last year when a judge found she lied about where she lives. Police said the woman filed a police report, but decided not to cooperate and said she didn't want to proceed with any investigation. They submitted a warrant request to the Macomb County Prosecutor's Office, who wouldn't issue charges until they could speak with Spranger.